Following on from our buying guide on the most important features of a tent, we’ve compiled a roundup of some of the best ones we have tested recently. 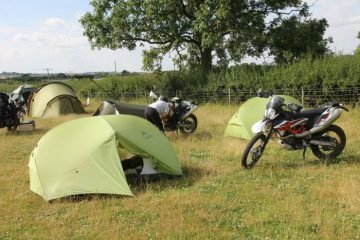 In this group test, you’ll find small tents ideal for those travelling solo, spacious tents for those of you with a missus and plenty of gear, and even a tent that you can park your bike in. At £99.99 the Easy Camp Spirit is already looking like an attractive option and it looks even more attractive when you see just how small it packs down. Especially, when you consider how much room it offers when pitched. On the face of it the Spirit 300 seems like the best value tent in this review, it’s easy to pitch, offers a huge porch area and a nicely sized inner that will sleep three easily. But when you start to look at the components used you’ll realise that it will only suit you if you’re guaranteed the good weather and you’re not going to be using it much. The pegs are arguably the flimsiest I’ve ever seen on a tent and the poles are definitely some of the weakest I’ve used. 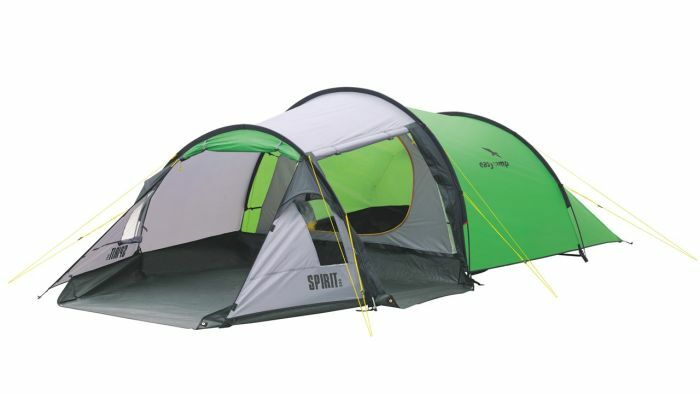 It’d be harsh to completely discount the Spirit 300 though because it’s a good tent if you’re only going to be using it once a year in good weather. Inflatable tents have been emerging onto the outdoor scene over the last few years with Vango leading the initial charge with their AirBeam range. 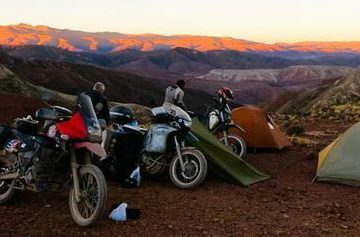 Heimplanet, a German company, seem to be just behind though and we’ve had their two-man tent, The Wedge in for testing (they also offer a larger three-man, The Cave, but it’s a little too big to stick on the back of a bike). If you can get your head around the fact that you’re paying a lot of money for a tent that has less components than usual (no poles), then it’s certainly impressive. I’d advise buying the small pump as it will slot into your panniers effortlessly and erecting the tent is a very quick and easy affair. Once up it’s surprisingly strong and sturdy when you consider it’s held up by air (in lab testing it withstood winds of 250 kmph) and in terms of internal space you get tons of room. I would have preferred a larger porch and for these tents to really take off Heimplanet will probably have to lower the price considerably. If you’re after a large tent with enough room to comfortably roll around in then you’ll probably want to skip the Snugpak Scorpion 2. 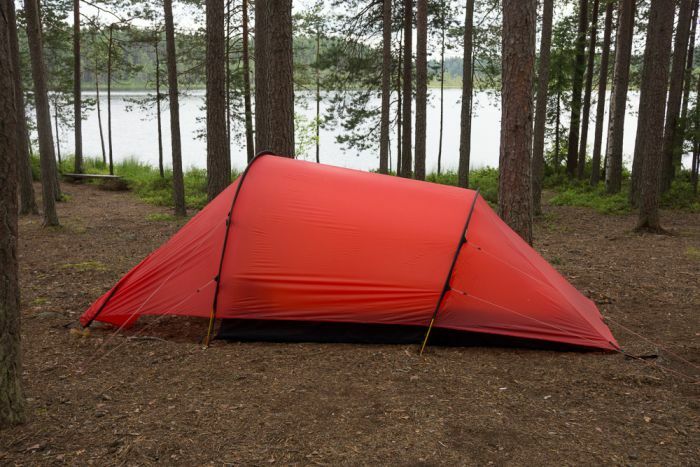 If, however, you’re looking for a tent that’ll pack down to a very small size, fit easily into your panniers and withstand all but the most severe weather, then the Scorpion 2 is a brilliant tent. As alluded to, the Scorpion 2 isn’t very spacious and I’d only really consider this if you’re sleeping solo and under 6ft (if you’re tall your feet will press the inner wall against the outer and you’ll get a wet sleeping bag). The inner is made from a black material which, while making the inside a bit dreary, helps block out sleep disturbing sunlight. The tent feels bombproof and has a very sturdy structure but as the porch is more of a gesture than a useful feature you’ll have to find somewhere else to store your panniers. 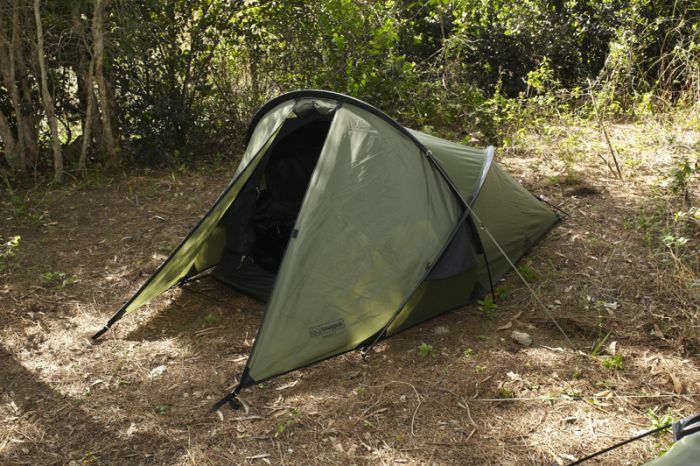 If you’re looking for a two man tent for summer touring then consider the Outfitter Pro 2. Ventilation is the name of the game here and you’ll struggle to find a better ventilated three-season tent out there. It’s spacious (genuinely enough room inside for two), light, packs down fairly small considering its erected size and the two vestibules offer more than enough room for storing kit and cooking. The tent pitches inner first and while it’s not the easiest shelter I’ve put up, once you get your head around it you’ll have it up in no time. A neat feature is that the guy ropes pack away into their own separate attachment bags so there’s no mounds of tangled chord at the bottom of your tent bag. For warm weather camping the Kelty Outfitter Pro 2 will serve you exceptionally well. It’s probably worth giving the Tempest 200 a miss if two of you are going to be sleeping in it as it’s quite small inside. But as a large one man tent it represents superb value for money. As you would expect from a company like Vango, it’s very well made and there are some neat little features that help make this tent an excellent piece of kit for any solo adventurers. It makes use of a unique ‘Tension Band System’ that stabilises the tent when winds start to pick up and it works superbly. The tent is long enough inside for a six footer to stretch out, but if you’re on the taller side you’ll have to hunch over when you sit to avoid touching your head on the roof. If you’re travelling by yourself and you want a tent that’s small enough to throw in your panniers and forget about, the Tempest 200 is one to consider. Best value for solo ABRs. 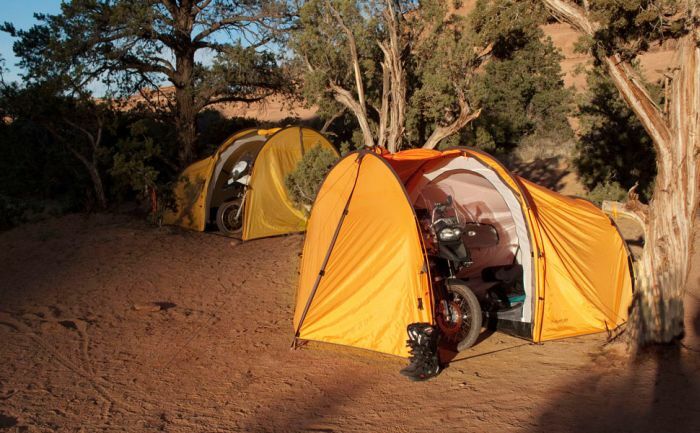 I’m a big fan of Robens tents and if you’re not too bothered about strapping your shelter on top of your bike rather than stuffing it in your panniers, then the Robens Fortress 3 is an excellent choice. It may not pack down the smallest or weigh the least but when it’s up it has tons of room and feels exceptionally sturdy in strong winds. As it’s a three-man tent you can expect the sleeping area to have plenty of room, enough for a six-footer to stretch out and sit up in and the porch is huge and will easily contain two sets of panniers. 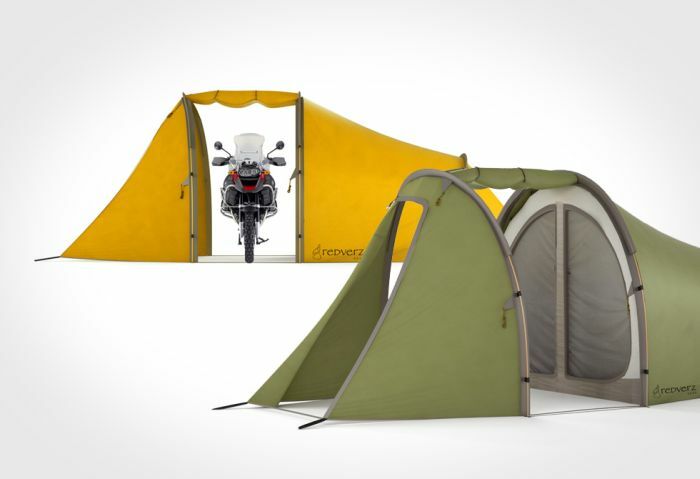 In terms of porch size it’s only beaten by the Redverz Series II Expedition, a tent that has been designed to house your motorcycle in its porch area. 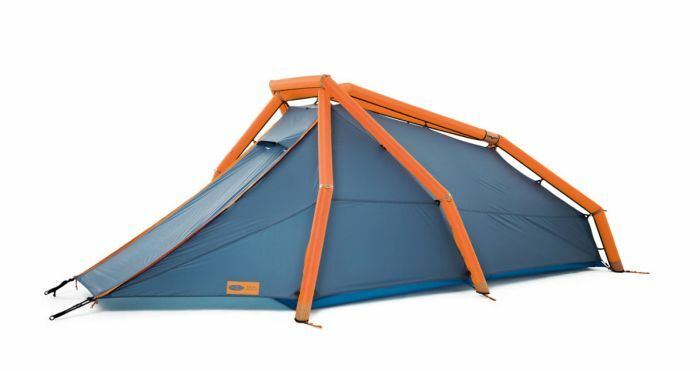 At £179.99 you can get cheaper tents but you’ll be hard pushed to find one as well built as the Fortress 3. 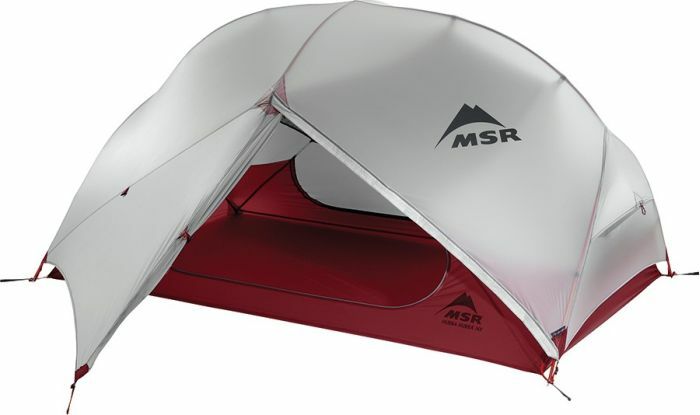 MSR make some awesome outdoor gear and over the years if you’ve been camping you’ve probably used, or at least heard of, their iconic Pocket Rocket gas stove. The Hubba Hubba NX is a superb tent and at £335 it’s a steal. That’s right, despite being the fourth most expensive tent in this test, this shelter offers exceptional value for money. As soon as you lay your eyes on the Hubba Hubba NX you’ll know that you’re looking at a quality tent. It packs down tiny and will easily fit in your panniers. When up it’s surprisingly spacious with enough inner area to sleep two. There are also two vestibules that’ll just about have enough room for your panniers, gear and cooking space. It’ll withstand the worst weather outside of winter blizzards with ease and a great ventilation system means you won’t get too stuffy in the summer. 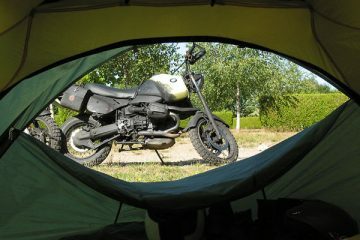 I love this tent. Highly recommended. Ok, ok, so this tent has probably ruled itself out for most people with its astronomical price tag, but if you’ve got the money and you’re looking for a quality tent then you should look no further than Hilleberg. The company, known as The Tent Maker, prides itself in the quality of its tents and the Anjan 2 is no exception to their especially high standards. For its light weight and small packsize The Anjan 2 is surprisingly spacious when up. 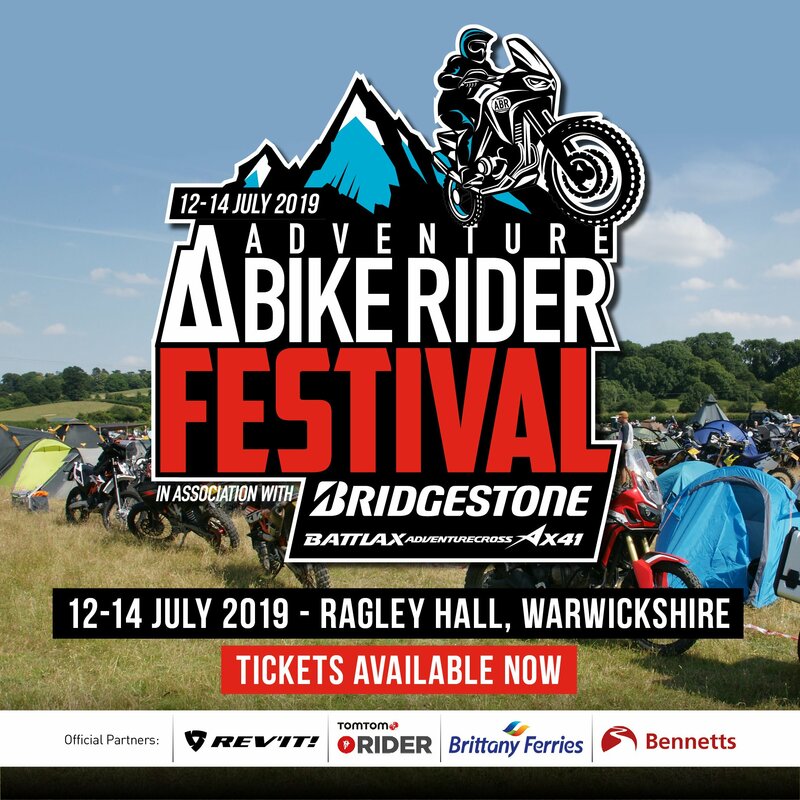 The vestibule area is huge for a tent of its size with enough room for storing all your bike related gear and all of the components are extremely well made. Everything about this tent has been meticulously designed and thought about and for a three-season tent it’ll withstand all but the most extreme conditions. 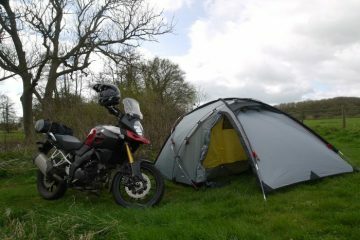 £575 might seem like a hell of a lot of money, but you really do get what you pay for and you’ll enjoy using this tent. Best lightweight tent in test. 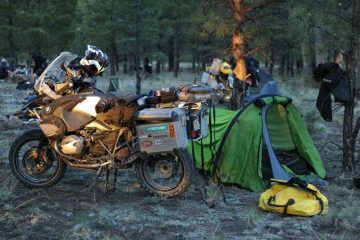 When it comes to tents for adventure motorcycling, the Redverz Series II Expedition is probably the stand out piece of kit. It has been designed by bikers, for bikers and as soon as you put it up you’ll wonder why you ever even thought about squeezing into anything smaller. The Series II is huge, so huge that you can park your bike in the front porch and keep it hidden from prying eyes. 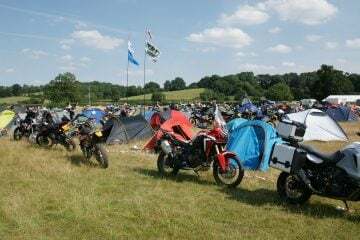 So huge that you can stand up completely inside and not have to hunch when you’re changing into your riding gear (unless you’re over 6’4) and so huge that you could probably invite the rest of the campsite round for a party. Of course, a big tent has a big surface area and it won’t stand up to strong winds as well as the smaller, more streamlined tents but if you’re unlikely to be in a situation where gale force winds will be battering your campsite then it’s not a worry. OK it’s a little expensive, but for luxury, comfort and practicality while biking you can’t really get better. Best in test.